This month we had a great discussion and super tasty meal around Blue Plate Special: an Autobiography of My Appetites by Kate Christensen. This one had some pretty mixed reactions. A few people really liked it and found the author very easy relate to. Others had trouble connecting with her, and didn't find the food writing as appetizing as would have been hoped from the title. Our first impressions of the book were also mixed. While more than one person said they could barely set it down and read it in just a few days, others found it to be a tougher read. The prologue definitely drew everyone in, seemingly starting out with they typical foodie memoir scene of a small child savoring a tasty treat...then the trauma starts. This had some of us "clenching my jaws" and feeling sorry for her, while others found her treatment enigmatic with lots of foreshadowing. But this foreshadowing didn't always lead anywhere, and while she confesses a lot, there weren't enough details to draw everyone in. When Christensen does go heavy on the details, that is where we really responded. Her writing could be really fun, such as on page 40 where she talks about being an omnivore and a glutton. The explanation of the blue plate special was really well received, as was how she used food for comfort. Many members related to her descriptions of hippie and/or space food from their own childhoods. And the shoplifting scene was a guilty pleasure read for many. But despite some solid writing, the majority of us seemed uncomfortable with this book. The author seemed conflicted about everything, and often this read more as therapy notes than an engaging sharing. Her relationship with food was so out of balance. She claimed to get pleasure from it, but would put herself on horrible diets at the drop of a hat. Most troubling of all, was a perceived lack of empathy for others seen in so many parts of the book. The food descriptions in the book were occasionally drool-worthy (the soft-boiled eggs of the opening, and when she travels to Mexico, France and Italy), but not consistently appetizing, reflecting her uncomfortable relationship with it at various points. And someone brought these strawberries with whipped cream and nuts. Who was it? 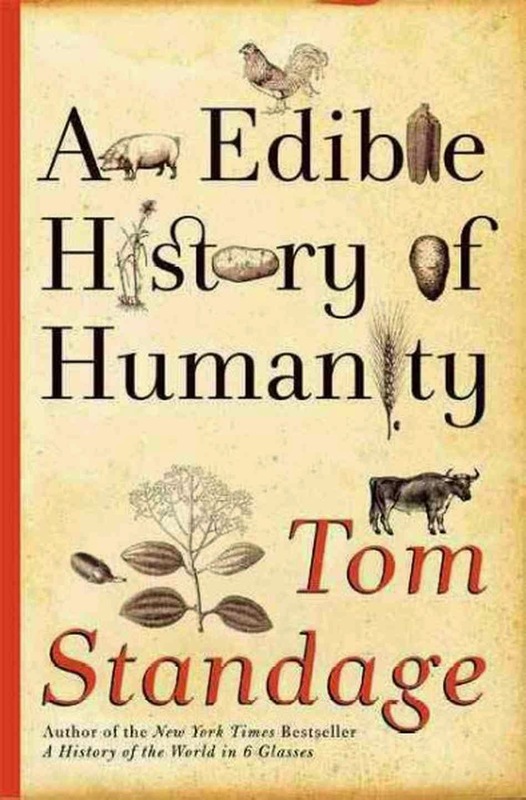 Next month we are discussing An Edible History of Humanity by Tom Standage. There should be a few copies behind the desk at the Mountlake Terrace Library, plus a few more available in the catalog (including 3 large print). If you want ebook or eaudio, you will need to go to Seattle Public. SPL and KCLS both have cds, too.